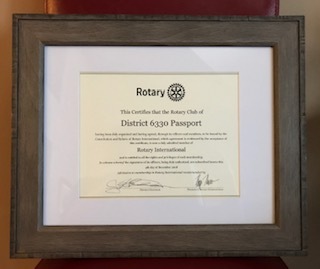 "Together, we see a world where people unite to take action and create lasting change- across the globe, in our communities, and in ourselves"
Rotary Club of District 6330 Passport is Chartered. Club ID# 89745 was admitted into Rotary International on December 4, 2018. Congratulations to all club members in Ontario, Canada and Michigan, USA. A lively auction and generous donations at our Charter Event on March 2 generated $630.00 US for Mid City Nutrition in Port Huron. 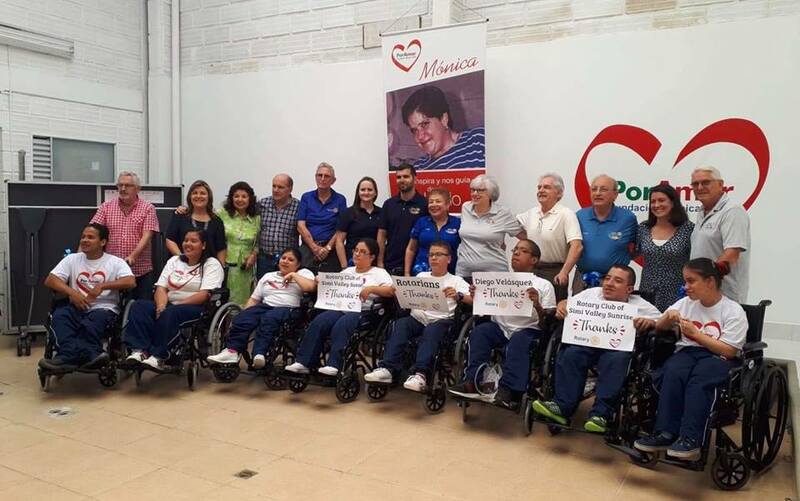 To celebrate Rotary's 114th birthday the 6330 Passport Club GAVE A WHEELCHAIR to the Fundacion Monica Uribe por Amor. This is a charity dedicated to helping children in Colombia with spina bifida!! Pictured above are Passport Members Jim, Ali, Pam and London South Club member Joan with Past District Governor Sonia and District Governor Alberto of District 4271. Our ROTARY FRIENDSHIP EXCHANGE team has just returned from Colombia where they visited the Fundacion Monica Uribe por Amor. Culture, Connections and Friendships....that’s Rotary Friendship Exchange! The Team Leader of our District 6330 Rotary Friendship Exchange was PAG Dr. Jim Sillers, International Director/Chair of the 6330 Passport Club. Jim led our small team to Colombia in early February. They had the unique opportunity to attend an International Project Fair and then to be hosted by District 4271. Since returning, two of our team members have been inducted into the District 6330 Passport Club. Fighting Disease is one of Rotary's six areas of focus. 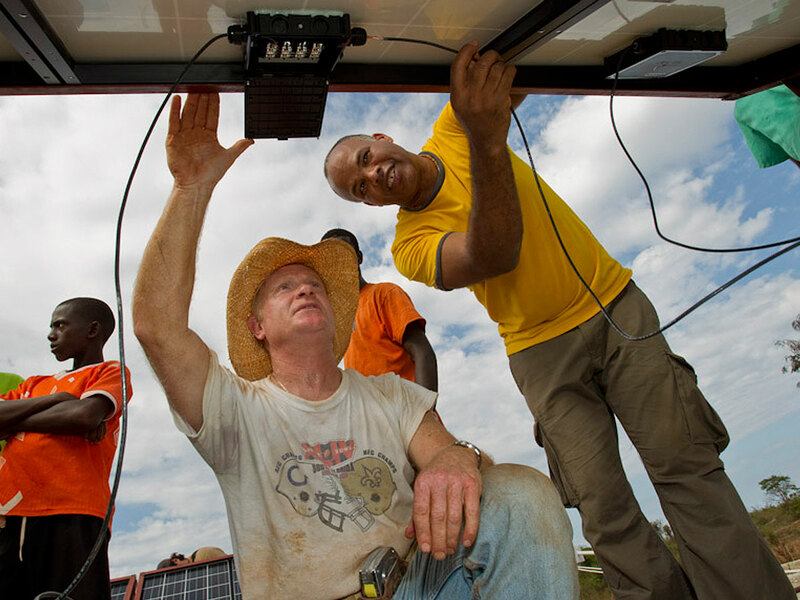 This video shows Rotary's global efforts to set up temporary clinics, blood donation centers, and training facilities in underserved communities struggling with outbreaks and health care access. 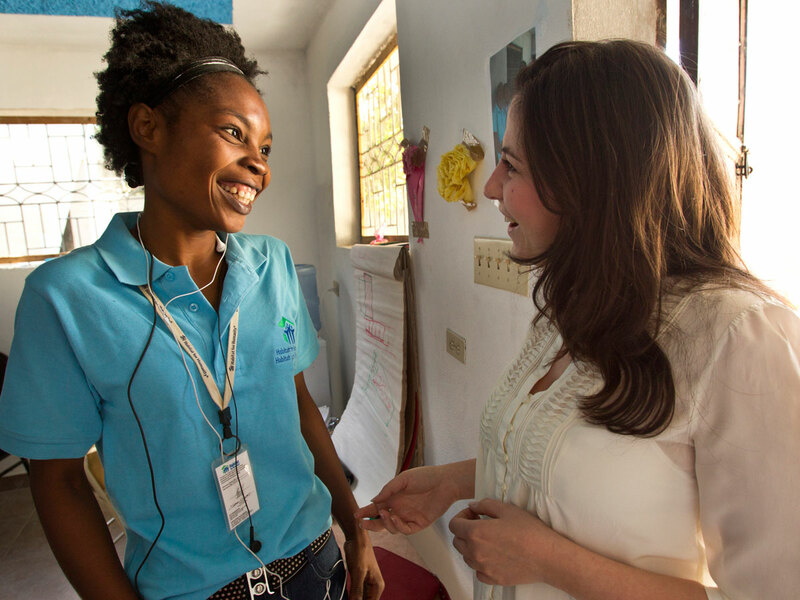 We design and build infrastructure that allows doctors, patients, and governments to work together. Our members combat diseases like malaria, HIV/AIDS, Alzheimer’s, multiple sclerosis, diabetes, and polio. 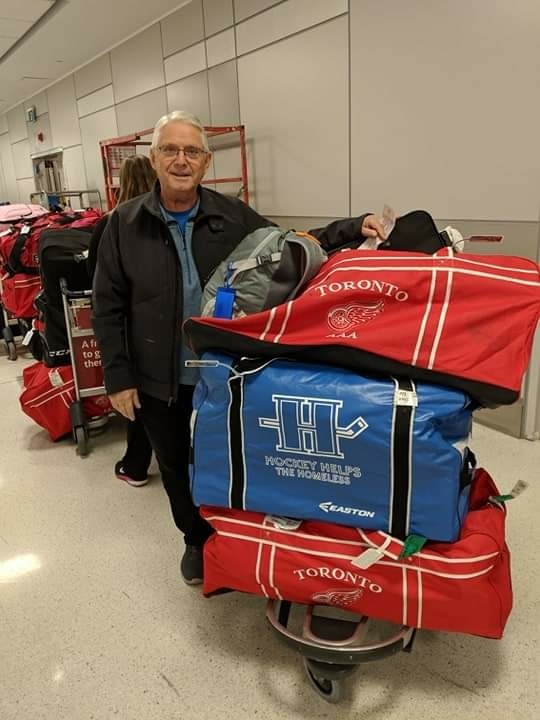 A great humanitarian Dr. Jim Sillers on his way to the Dominican Republic with medical supplies for a service project there. Our members search out ways to continually ‘Do Good in the World’ through Rotary!! 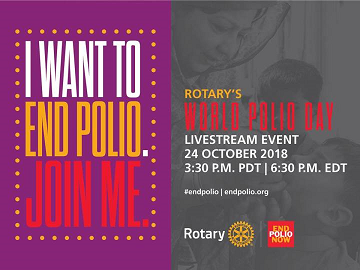 Eradicating Polio is Rotary's #1 Priority worldwide. 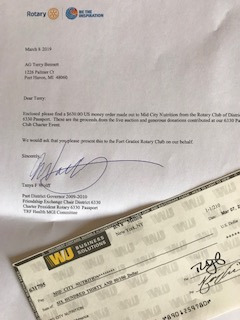 12,060 dollars (CND) was raised during our event including matched funds from The Gates Foundation for Polio Plus during the 6330 Passport Club’s World’s Greatest Meal for Polio!! 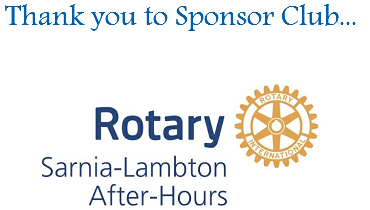 Way to go members, prospects and family of Rotary!!! Thank you to club Director Mary Ruston for designing and hosting the event!! 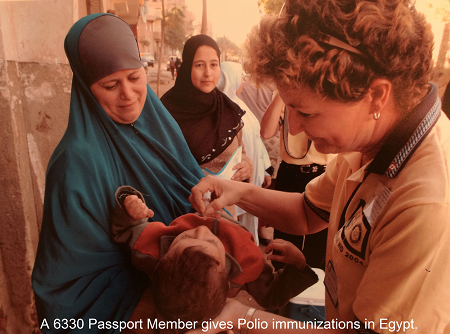 We created awareness, fed and educated 62 people about Rotary’s polio eradication efforts and also about our club. We are PEOPLE OF ACTION!!! The first hands-on service project is in the books for the new 6330 Passport Club. Rotary got lots of public attention on Sunday August 26th from locals and tourists alike....good PR for Rotary everywhere as lots of thank yous were heard. Make Rotary Fit Your Life! 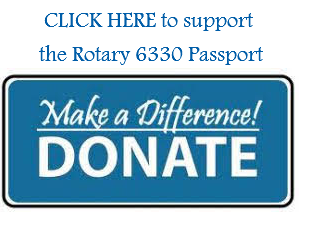 Members of the Provisional Rotary Club of District 6330 Passport are local people who want to make a difference in their community and the world in a way that fits within their time, talent, and finances, as well as with their family, work, and life commitments. 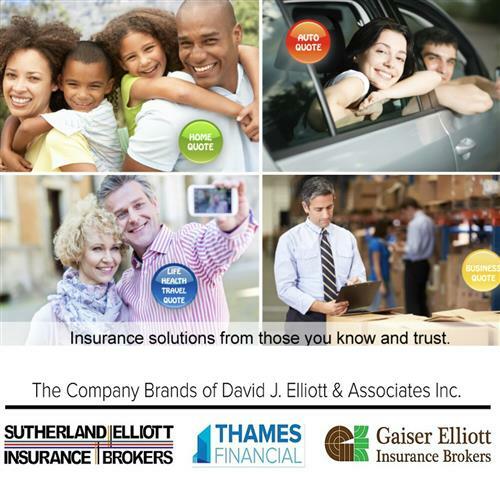 To facilitate this, the 6330 Passport Club conducts business electronically and offers several in-person opportunities per year. In lieu of weekly meetings, members are encouraged to engage in humanitarian service- however that works best for them! The founding principle is simple: make Rotary fit your life! The 6330 Passport Club members are full Rotary members, with the same privileges and rights as Rotarians who are members of traditional clubs. 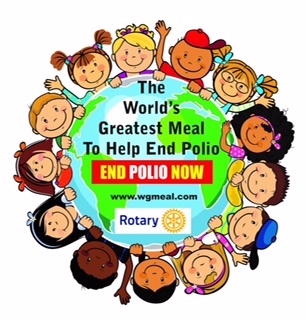 other Rotary Club in the world, and to take part in activities, programs, and projects that interest and engage you. While this club is targeted at former Rotary members looking to return, young professionals, Rotaractors, Rotary Alumni, and others who find a traditional club doesn’t fit their life- anyone is welcome to apply! Passport Clubs differ from e-clubs in that members live within a defined geographical region- in this case, District 6330. 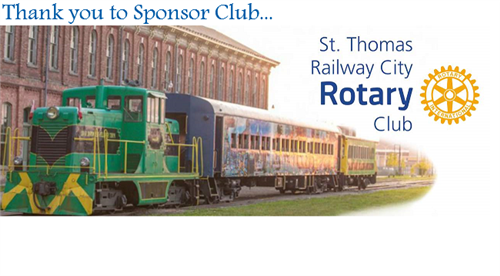 If you think this new style of Rotary club might be a good fit for you- reach out! Our club members are dedicated people from Rotary District 6330 who share a passion for both community service and friendship. 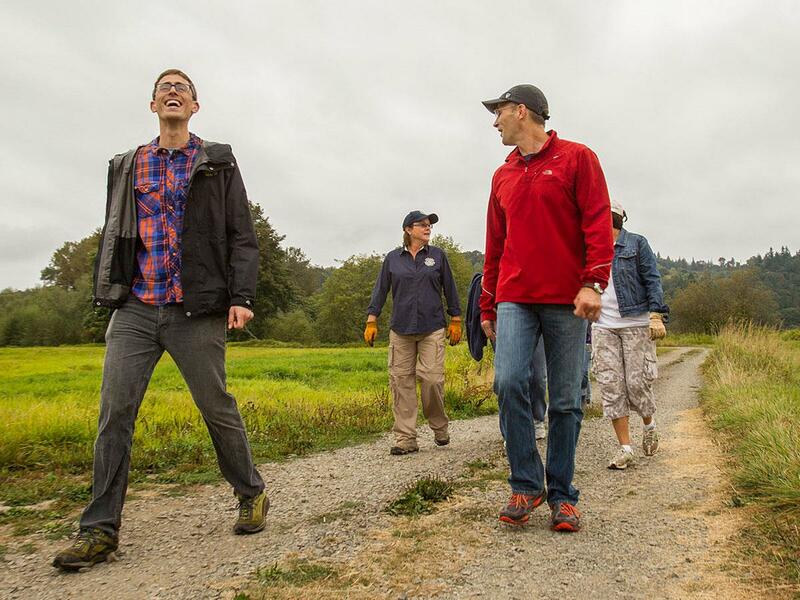 Becoming a Rotarian connects you with a diverse group of professionals who share your drive to give back. 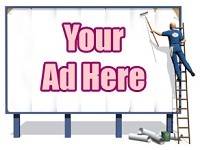 Our club accepts new members by application. 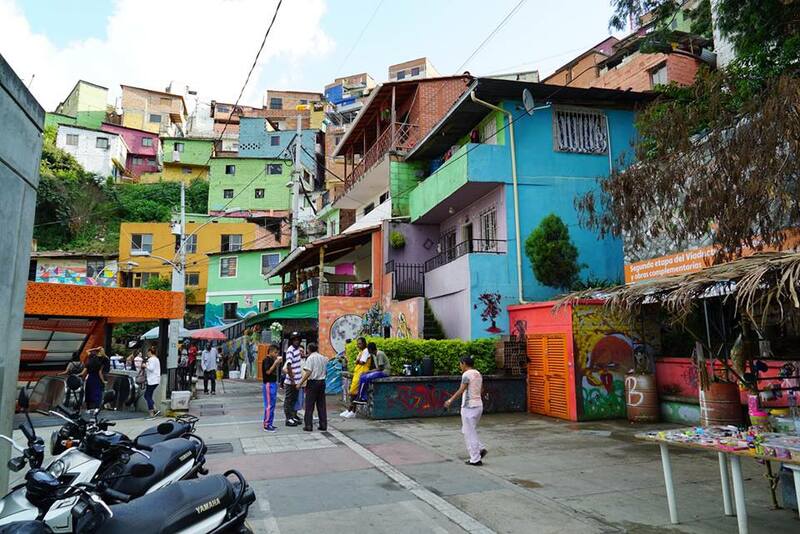 All materials and photos, unless otherwise specified, copyright of Rotary Club of 6330 Passport.